Figure 2. 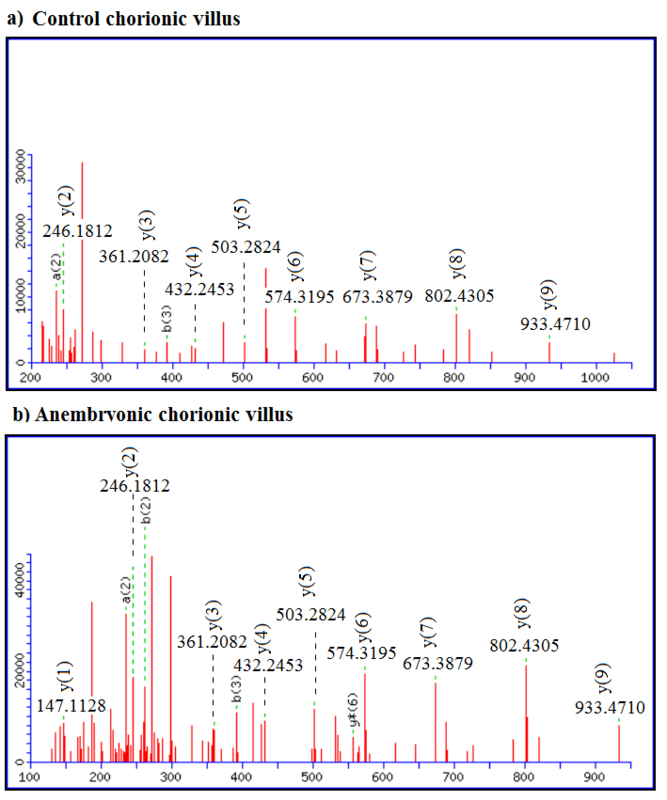 Mass spectrometric characterization of cytosolic non-specific dipeptidase CNDP_HUMAN differentially presented in control chorionic villus sampling (a) compared to anembryonic samples (b). MS/MS spectra of peptide MMEVAAADVK (2+).